Your child got into one of more school. Great news! But, choosing a school is much more difficult than you imagined. Why? The Willows’ teachers are fabulous (patient, enthusiastic, nurturing and inspiring). There are two teachers per class. The Willows has bullies just like every other school. It’s how the school deals with them that matters and The Willows teachers are adept at handling this issue. Does what I’ve said mean that everything is always perfect? No. And it won’t be wherever you send your child. There can definitely be rough patches. After all, your child is involved. But, you know your child and let that be your guide when choosing a school. We cover the different types of school (traditional, developmental, etc.) 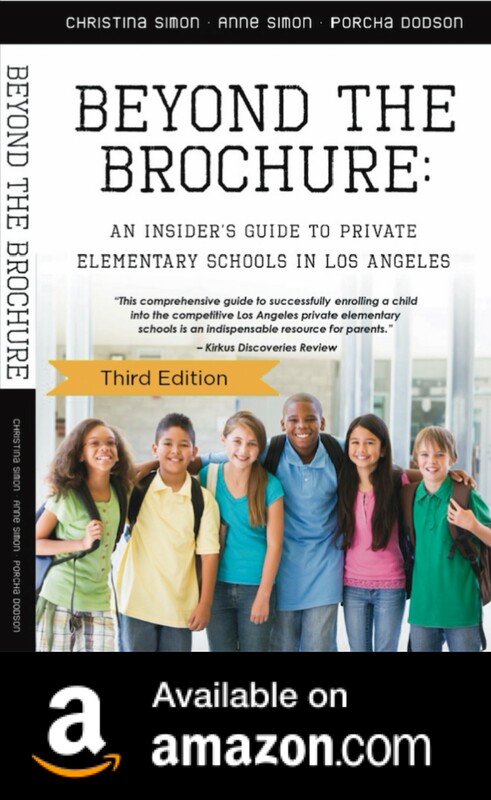 and what to look for when choosing a school in our book. Thank you for the honesty, Christina! You're right.. choosing a school is hard. There is such a push to get in that you are less likely to weigh aspects of each program during the process – until you absolutely have to. Thank you for being so transparent about your own experience. Thank you for letting us see your own process, very helpful! Our child got into all but one of the schools were we applied. We played by the "rules" described in your book. Now, we have tough choices to make. It's almost as hard as the process itself. I am hoping we make the right decision. Thank you for writing about this. It would be great if you could get parents at some of the other schools to write a similar list. Hi Anon 1:34. That's a great idea…I'm wondering if there are any specific schools you're interested in?